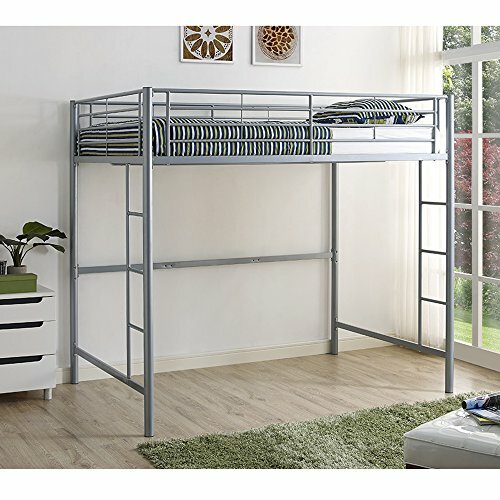 This loft bed is a necessity for your children's bedroom. The sturdy, steel frame promises stability and function to support a full size mattress and up to 250 pounds. Features full length guardrails and two integrated ladders, one on each end. This ideal space-saver is the perfect addition for your bedroom. If you have any questions about this product by Home Accent Furnishings, contact us by completing and submitting the form below. If you are looking for a specif part number, please include it with your message.